The hot or cold debate. Using either heat or cold on an injury is a question we get daily. First of all, to appreciate the problem lets try and understand the process we are trying to manage. The process we are trying to manipulate and control is inflammation. The inflammatory mechanism is a natural process that is a defence response to tissue damage. Inflammation is necessary to allow tissue repair but to also dispose of microbes, toxins and foreign material at the site of injury. When inflammation occurs, you will usually find redness, pain, heat and swelling. However, a loss of function usually occurs when the process is in full swing. The moment you hurt yourself, the inflammatory process begins and you will notice the symptoms described above. The acute phase is usually for 24 hours before entering the sub acute stage for a further 24-36 hours. At the acute stage people usually use cold to reduce the inflammation. Conversely research suggest that it would be a good idea to back off from the ice and anti-inflammatory medication to allow the process to rid the area of toxins and promote tissue repair. However, the ice is usually used to help numb and reduce pain. When you enter the chronic stage of inflammation, the area is usually cold and you are left with swelling and a loss of function. This is when you need to get the area moving, to disperse swelling and to regain function. Usually the loss of function produces pain due to muscle guarding. This is where the heat and the movement come in. The Heat will help relax the muscles to enable you to reestablish movement that the area is not accessing and has simply forgotten about. In essence, when you lose function, other tissues have to work harder to maintain homeostasis. This is what people call compensation. Simple: try for as long as possible to allow inflammation to happen for as long as you can in the first 12-24 hours, then use ice to reduce inflammation. When the area becomes chronic (3 days approx.) use heat. The confusing aspect to the debate is when people have long term chronic pain. This is usually when chronic inflammation is present and not helping you. There are non of the positive properties like tissue repair occurring. Therefore, we can produce more acute inflammation to establish tissue repair. We can do this by using heat in the morning with exercises, which will help get you moving and may produce a minor acute inflammatory response. Then in the evening use ice for no more than 10 minutes before you go to bed. This will help with discomfort and reduce inflammation that has occurred during the day. We hope this helps . . . .
As many of you are aware, the disc does not slip as it is often thought of as a hockey puck. As the diagram shows, it is the gel like centre that protrudes out, which causes the discomfort as it irritates the nerve. It is said that 80% of the worlds adult population have a disc bulge of sorts but are asymptomatic. 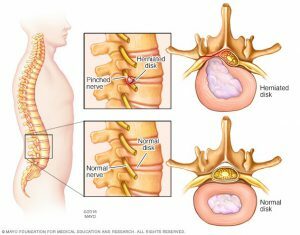 For those of you that have nerve pain as a result of a disc pathology then you have my up most sympathy, but even the symptoms differ from general morning stiffness to not being able to move. A typical presentation of a disc pathology are usually to be stiffer in the morning (More than 1 hour) than during the day. This is because the disc hydrates when we are sleeping and so there is more pressure placed on the bulge itself. When the disc shrinks through out the day, there is less pressure on the bulge. Equally, we are able to displace swelling when moving. Often we see people that have been diagnosed, usually by an MRI, that they have a disc pathology. They have been told that the pain is from the disc pressing on a nerve. There have been many times where the person has had a disc issue, but the pain is not a direct result of that disc. For example, if you have an L5 disc herniation presenting with pins and needles or shooting pain in the front of your foot and shin, this is usual as this is where the sensory part of L5 goes to. 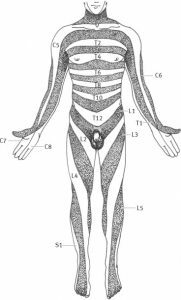 See dermatome map. If you come to the clinic presenting with pain in the front of the thigh, having a disc issue at L5, the L5 disc maybe the overall cause, but its not directly causing the thigh pain. As you can see by the dermatome map. Even if you have lower back pain, with no other symptoms and you happen to have an MRI showing you that you have a disc bulge, we cannot be completely sure that the disc is actually the problem. Think of it this way, you only have test (mechanically speaking) when there are symptoms. For all we know you could have had that L5 disc bulge for a year or more. In any case, you have to keep moving and try to re-establish balance and movement in your body. The more you allow your body to become stiff, the more pain you will feel. There is no limit to the movement you should try, but always keep inside the remit of what you can do, as the body has a way of fighting back! It’s alway struck me as funny when I hear that people believe that it is acceptable to suffer with lower back pain. When people are in pain and discomfort it seems to chip away at their logic and reasoning. This is usual as the sensation of acute pain is the only thing you can think of and if not acute you certainly are reminded of it more than once in a day. I’m here to tell you that you don’t have to be like that. Let’s get you moving and into a better standard of living where pain does not rule over you like a tyrant. Demanding that you succumb to its way of thinking, making you hold back on living your life freely without discomfort. Let us reconnect your brain with your body and your body to the outside world without hesitation or fear. Let’s start living and get rid of this feeling of having to manage week after week and month after month with pain and discomfort. I see people every day complaining that they have sciatica, and sure some of the are right. Sciatica is a pain with either pins and needles, numbness or weakness down the back of the leg caused by a problem in the lower back. The site of pain runs along with the sciatic nerve, which starts in the lower back (spine) into the buttocks, down the back of the leg to behind the knee, turns to the outside of your shin then finishes at the big toe. Now, if you are experiencing pain, or any symptoms that are present at the inside, outside or front of the thigh, this is not sciatica. These other symptoms could be caused by altered mechanics due to sciatica or simply be from irritation from another source other than the sciatic nerve. There are many reasons that you cold have back pain, but to have prolonged back pain is usually directed to you not moving. The catch 22: you need to move to get rid of the pain but when you move you get pain. Let’s try and reestablish your missing movement patterns within the remits of your dysfunction, which you can do safely and without pain. Do this exercise in the comfort of your own home and preferably by yourself as you’re going to look a bit foolish. If you have one, stand in fort of a mirror. Try to allow your feet to relax and withstand the need to force your feet militarily parallel. Breath into your tummy, this will help you relax your shoulders. Have a slight bend in your knees and keep your knees still. Then try and feel the force of the floor pushing against the soles of your feet. Try and rock you pelvis backwards and forwards, while keeping your upper body still, maintaining a slight bend in your knees. As your bottom sticks out you are lengthening the abdomen and as your bottom tucks underneath you, you feel a lengthening in the base of your back. Once you have the hang of this we will implement the rib cage in time with the pelvis. As your bottom sticks out (still with a slight bend of the knees) squeeze your shoulder blades together. You will notice that your chest will lift up, and the should feel a greater lengthening in your abdomen. Then, tuck your bottom underneath you and allow both your shoulders to push forward (at this point ensure you are not bending forward from your hips and waist). You will notice that your chest will sink, and the should feel a greater lengthening in your back.. There is more to come with this exercise, but try this for 1 minute 3 times a day and see how you feel over the next week. Then we can add in some more funky stuff. Through out the day, we are consistently training our bodies. We are training consciously and subconsciously. When we take part in exercise, we are training consciously and of our own free will. Most of us have undertaken exercise for some event, exam, task or just like working out. The goal is to allow our bodies to adapt positively. We as humans are magnificent in adapting to our surroundings and in training adapting to stimulus. When we are subjected to a stimulus, such as exercise, we do this consciously so that you body create a response. But what about the subconscious adaptation to training? There are other day to day activities, which can also be considered as training such as driving, working, commuting. These can be considered training methods as we do them for long periods of time and have our bodies adapt to that surrounding. If you sit at a desk for hours a day, you are subconsciously training your self to be in that situation. You are affectively training your body to adapt to the surrounding environment in a negative manner. This is generally not a problem for active people as they will go back to training their bodies and stimulate patterns that may of been lost while sitting at there computer. Usually when you have an injury that seemed to have rectified itself you can usually bet that you have altered your mechanics to compensate for the pain you are feeling. In essence you have taught yourself new patterns and have forsaken the entirety of free movement. At Moveology look to rectify and reinstall these patterns while trying the pain in parallel. Please go to http://blog.moveology.co.uk/2018/09/18/missing-movement-patterns/ to find out more about missing movement patterns. Osteopaths vs Chiropractors: Whats the difference? Whats the difference between Osteopaths and Chiropractors? Is a question that we hear asked all the time. We understand why patients and the public ask that question, its a relevant question. We are osteopaths due to the principles and philosophies set out by previous osteopaths underpinning the teaching of the founder of osteopathy, Andrew Taylor Still. But, lets face it, the body hasn’t evolved much in a few thousand years. So, all osteopaths, chiropractors and physios learn the same anatomy, physiology and medicine but with our own unique philosophy and treatment applications. There are Osteopaths that treat like Chiropractors and Chiropractors that treat like Osteopaths. The philosophies and disciplines seem to have more in common than have differences. The treatment you receive will have bias, but this will usually come from the past experience of the practitioner rather than the discipline itself. What ever your thoughts, you need to know that it is in everyones best interest to get you well. In our opinion, people should go out and find the physical therapist they feel happy and secure with. If you feel that way, then your chances of recovery are greater and your experience will be enhanced. When Moveology compile an exercise plan to restore missing movement patterns. 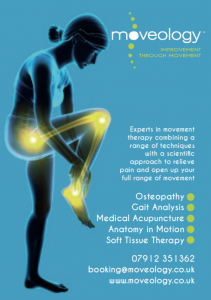 We aim to reinstate missing movement patterns back into the body. Our goal is to have the person moving better around their centre of gravity incorporating all types of muscle contractions, tissue tensions and joint movements. The typical therapist/trainer learn anatomy from textbooks of varying detail. The anatomy knowledge explains how muscles move joints, which is then applied to exercise. This is usually within a gym environment. Unfortunately the exercise concept is then applied to human movement. Then using the term ‘functional’, which leads us to the misleading rational that we move our joints using concentric and eccentric muscle contractions alone. This misconception leads to enhancing movement patterns you have and neglecting the patterns you do not have. What about all the other tissues in the body that combine to enhance movement? The ‘spring’ like mechanism of ligaments, skin and fascia. In essence these tissues store energy like a spring and uses the energy to help joints act as pendulums. Its all about you, thats why we always want our clients to be given the full picture and put everything into perspective. Its human nature to seek answers, hear an explanation that sounds right to you and then hang that issue on that explanation. It is important to Moveology that we clearly explain whats going on with you, and not scare you with horrendous anecdotal notions. There are many ‘if so, therefore it is’ statements we hear. One that is common, “I have back pain because I have bad posture”. Firstly, what is ‘bad posture’? The question we put is that we can round up 1000 people with ‘bad posture’ that have no back pain, so, why is it that you have back pain, what is the reason that you have discomfort? As human beings, we are magnificent and uniquely individual. The client has a history, unique dreams and desires and special experiences that add up to make you. That is why at Moveology we want to understand who you are, what it is about you, how your life is and how you view life around you. When you come into the clinic it is all about you. There is also the psychological aspect of pain and how it is manifesting in you. Lets say you have gone over on your ankle (for a little bit of terminology you have a grade 1 inversion sprain of the right ankle) so have ended up with a minor sprain with a little swelling. Now we all know that it is a minor injury and the tissues will heel in a round 6 weeks. This does not mean you’ll be in pain for 6 weeks. Now, the pain will feel worse, if lets say you are entered into a half marathon that weekend, or you are a nurse who spends 96.7% (not accurate, but we know it’s a lot) of their time at work on their feet. Therefore there is a heightened anxiety now associated with your injury. Let us share that burden, get your head into the real world. There are plenty of races you can attend, and all the training has made you into a fit individual. There is also no weakness in you taking a couple of days off work to recuperate. Its easier to work efficiently when you are not in pain. Its all about you, and we apply the science to your individual needs and hopefully quash any bro science that has come your way. We are please to be Supporting Movember Foundation this November. We are offering a 30 minute sport massage for £35 – where £5 will go towards the Movember Foundation. 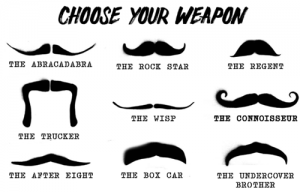 The Movember Foundation helps to spread awareness of men’s health issues around the world. They work closely with local charities. These charities help with projects that have a positive impact on Prostate cancer, Testicular cancer, mental health and suicide prevention. We hope to help the charity by also spreading awareness and making donations where possible. In support of the Movember charity, Moveology will be giving regular updates of our moustache growing attempts . Last year, our very own Doug made a fantastic attempt, but this Year Daryl is going to out do him. The Movember foundation are the only charity tackling men’s health on a global scale, year round. Movember know what works for men, and how to find and fund the most innovative research to have both a global and local impact. The Movember Foundation are independent of government funding, so we can challenge the status quo and invest quicker in what works. In 13 years Movemebr have funded more than 1,200 men’s health projects around the world. Events we’ll be at this bank holiday weekend. 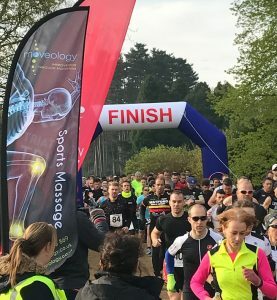 – Tony will be at the Hertfordshire Triathlon at Stanborough Lakes in Herts this Sunday giving pre and post race massage plus K Taping if needed. Doug will be at Pedal Norfolk all this weekend. We’ll be in the big camper van on the hill :). Seriously it is ridiculously big! We aren’t there in any official capacity but if any of our clients are there to come and say hi and of course injury advice always available. This year I’m only doing the 50 mile rides so I’m back in the afternoons to help if needed. This coming May bank holiday. We’ll be there providing pre and post race rubs and injury advice. We also run a massage while you support service for anyone supporting friends or loved ones who would like a 15min massage while they wait.